The future of automotive technology may lie in the past. 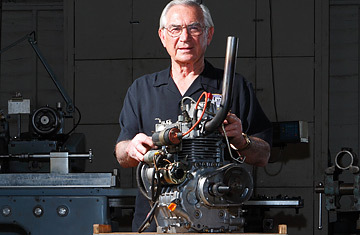 Bruce Crower, 77, an auto-racing designer with a thriving business in San Diego, has invented a hybrid steam engine in which water is sprayed into a traditional gasoline-powered cylinder, turning waste heat into usable energy. How much energy? Enough to travel 40% farther on a gallon of gas.